PFC offer a carefully balanced programme of weekly, holiday time and all year round football development sessions tailored to all players needs. Aged 4-5 Football, sports, play & FUNdamental skills developments. The PFC Girls Player Development Centre focuses on girls enjoying and progressing in the game. Weekly skill sessions and coaching services. School Holiday Training Camps, Tournaments & Experience Days. Invitation only elite player development centre with pathway to Pro club Academy network. A wide range of After School sessions designed to engage all ages and abilities. 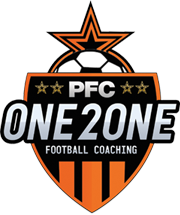 One2one, Defender, Strikers and Brazilian skill courses for players looking for that extra edge. Since 1996, PFC has provided the highest quality football coaching, courses and events for thousands of local players. No matter what age, ability level or aspirations, there is a place at pfc for everyone. From complete beginners and player development sessions to Academy and Professional football careers, PFC will help you become the player you want to be. Our courses are designed for both boys and girls. Choose from a range of ticket options from one-day tickets to full week tickets (Plus extended stays for parents who work late).